Matthew Vincent Raymond, 48, seemed 'utterly normal,' according to Judith Aguilar, an office manager at the company that rented Raymond an apartment. Raymond allegedly shot and killed four people outside that apartment building on Friday. 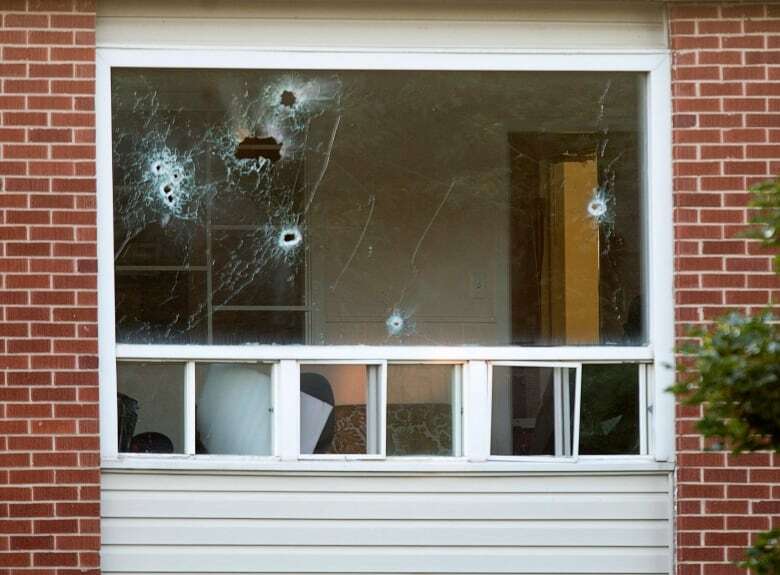 A man accused of shooting and killing four people outside his Fredericton apartment building seemed "utterly normal," according to a woman who helped him fill out a rental application. Matthew Vincent Raymond, 48, always smiled and made friendly small talk when he paid his rent in person each month, said Judith Aguilar, an office manager at Sunfield Apartment Rentals. "It's very surprising," she said. "He didn't seem like a disturbed individual in any way." The company manages the four apartment buildings that make up 237 Brookside Drive, the location of Friday's shooting. Raymond had been living in the complex's C building for four months, Aguilar said. Donnie Robichaud also lived in the apartment complex. 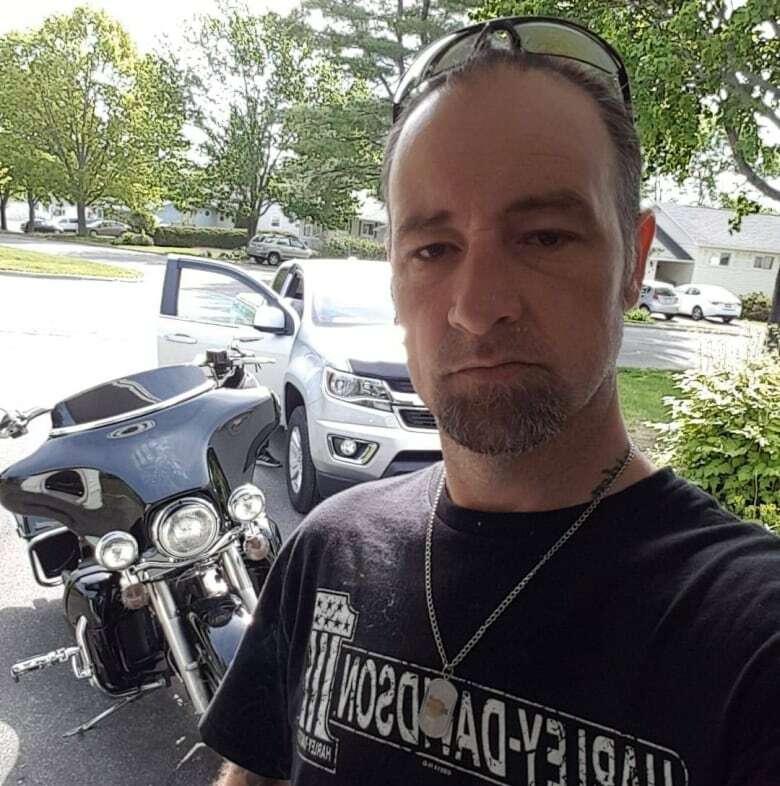 The 42-year-old father and musician has been identified as one of the four victims of Friday's shooting, along with his 32-year-old girlfriend Bobbie Lee Wright and two Fredericton police officers, Const. Robb Costello, 45, and 43-year-old Const. Sara Burns. So far, police haven't established a link between the alleged gunman and any of his victims. Donnie Robichaud, 42, is being remembered for his generosity and kind heart. (Facebook)"That is a piece of information that we're looking to establish," Martin Gaudet, Fredericton's deputy police chief, told reporters on Saturday. Raymond didn't raise any red flags with Aguilar. She first met him when he filled out an application to live at the building. Aguilar believes he was living alone. When he visited the rental company's office, she said Raymond always wore sunglasses and his bike helmet. He cycled everywhere and told her his bike was expensive. Police haven't released many details about Raymond, saying only that he allegedly shot the victims from an elevated position using a long gun. He was not known to police. "Everyone in the company that met him thought he was really pleasant," Aguilar said. "Sometimes you meet people and they can be aggressive or they can give you this weird vibe or something. He seemed utterly normal. It was very shocking." The rental company has been told it may be able to get into the building to do repairs as early as Monday afternoon. But tenants at the apartment complex aren't sure when they'll be able to return home for good, Aguilar said. As the shooting unfolded on Friday morning, the rental company had to call each tenant to tell them to lock their doors and stay away from the windows. "A lot of the tenants are quite upset and traumatized at the moment," Aguilar said.